Newborn hospital hat with Monogram. 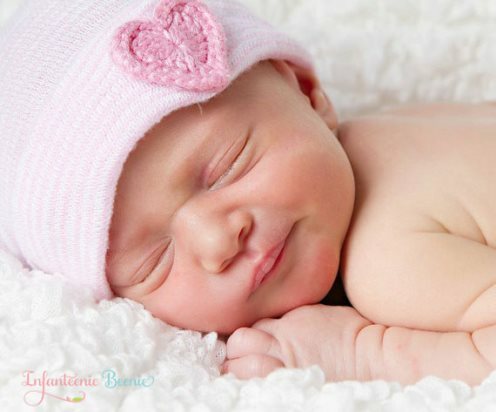 This hat is tiny, perfect for preemie or newborn cuteness. Two Hearts on each side of Monogram. Shown in pink, please note if different color is needed.